« Wishing all the Moms out there a lovely Mother’s Day weekend! Did you know that reflexology has been around for thousands of years? It actually originated around the same time as acupuncture! No one in the West had heard of reflexology until an American ear, nose and throat specialist named Dr. William Fitzgerald, introduced it at the beginning of this century. He took the first steps toward dividing the body into ten reflex zones and 3000 years after its conception reflexology came to America. In 1930, Eunice Ingham, a nurse and physiotherapist, refined the “zone therapy” developed by Fitzgerald, to what is known today as reflexology. She was instrumental in charting the feet in detail to determine which part of the sole corresponded to which part of the body. Reflexology was developed into a skillful, manual therapy, bringing many people relief and many benefits in their often fast-paced and stressful lifestyles. It is now considered a great form of preventative medicine. 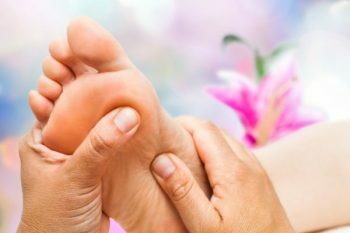 Since at least 75% of all our health problems can be linked to nervous stress, reflexology is a valuable tool for supporting the well-being of anyone. Don’t suffer any longer. Call 403-301-3730 today.